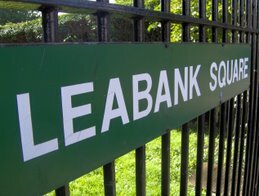 Leabank Square: Carter-Ruck vs Leabank Square? Good news Leabank Square!!! We have finally made it into the big time!! Our moles over in Canary Wharf have informed us that the MIGHTY Carter-Ruck are allegedly (thanks Ian!) interested in sorting us low-life East End scum out! Apparently the ODA are a tiny bit upset about some of your comments in the Skanska thread! and 2. Isn't it just a bit curious that the ODA get a bit het-up over a small community's blog? I mean - what are they doing poking their colossal construction sized noses in a residential neighbours internal affairs? Are we merely a thorn in their side - or is there something else we haven't yet been told? Anyhow - it's nothing some of us haven't dealt with before - so - this is just a heads-up. Some of us WILL be 'aving a word with Sergeant Port some time soon - and some of us WILL be 'aving a word with Private Eye's favourite lunch buddies. "One of the UK's best-known law firms, Carter-Ruck has a long-standing reputation for its expertise in the field of litigation and dispute resolution. We are recognised as the UK's pre-eminent media law practice, while our work in the commercial litigation and international law sectors is also regarded as being of the highest calibre. Our lawyers are known for being dynamic, determined and thorough in pursuing our clients' objectives and protecting their interests. A large number of our cases attract the attention of the world's media and we are well-used to dealing with the challenges that this presents. Carter-Ruck's practice is truly global in nature and its lawyers have considerable experience and expertise in cases having either a multi-jurisdictional or a political/diplomatic angle. At any one time our lawyers are engaged in litigation relating to 50 countries or more." We've upset the poor olympicos again. If we can handle all the doo-doo they threw at us over T5 - a few extra writs large are hardly gonna wet this ducks back. Looks like the suits have brough along some more suits huh? Please don't even in the slightest bit concern yourselves about this carter-ruck bunch. We had a to-do with them a couple of years back and they were all bark & not even a nibble. I'll pop over later when you're in to let you know more. Hi Sóna - Great! All we need is more bullies picking on Leabank Square! Remember when life was much more simpler? Beautiful peaceful Arena Fields opposite - instead of full-on diabolical noise & dust?! And then when a couple of residents vent their anger, we get the heavies threatening all kinds of doom and gloom! As if we don't have enough stress as it is? Anyway, let these lawyers come on down to the east end and present all kinds of papers to us for writing a few things - I'm sure they'll feel a whole lot better for picking on people who can not EVER lose anything more! I agree with (what I think you are saying - you still waffle on a bit) the bit about what makes the oda so interrested in Leabank Square. Are you sure they are not planning to demolish our Square and use it for the catering compound come the games? Something just doesn't add up. Why are they so vexxed by us? I never hear about any other estates getting so much attention from them. Dude theyve switched the ips to individual comps. Keep getting everyone to still use the no.3 laptop in community centre. That way they cant trace directly to homes. I'll send email on secure comms. What is WRONG with these people?! Its like they ave a personal vendetta against Leabank Square. Let them come, keep coming, there is no way we will ever leave our amazing square. They can't drive us out EVER!! Carter-Ruck may in Mr Black's experience be "all bark & not even a nibble". But whatever, they are still very expensive. Are the ODA really certain that they want to be blazoning all over the media how they are using public money to fund their bully-boy tactics? Some of us are pretty unhappy about our surcharge to pay for the Olympics. I for one would be even unhappier if it turns out it's being spent on beating up my friends in Leabank Square just for trying to lead a civilised life. Hi Sóna. So now we have vultures sniffing money involved in Leabank Squares OWN business. There has got to be some serious paranoia going on in Canary Wharf for them to get this bunch involved. Sometimes I just am amazed that these ODA people are in the slightest bit interrested in what we are saying to each other! If they are snooping into our blog correspondence, it makes you wonder about emails, phone calls and cups of tea chats on the green. See, this paranoia thing is catchy. One in 50,000,000 has a chance of becoming a human being.